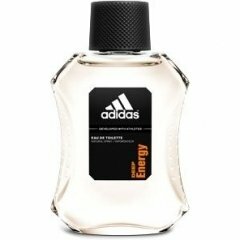 Deep Energy (Eau de Toilette) is a perfume by Adidas for men and was released in 2007. The scent is fresh-synthetic. It was last marketed by Coty. I really like the smell of this one. It's cheap but pleasant enough and the bergamot and mandarin are really quite nice and refreshing. It stays relatively close to the skin and makes a nice knockabout fragrance in hot weather. The reason why I am giving this a thumbs down is its longevity. I have yet to see this last longer than an hour on my skin. Plus, there are other, even cheaper fragrances that smell better (Clubman line), and good colognes that are reasonably priced with some staying power (Mugler Cologne). I bought a bottle for very cheap, and it languishes in the drawer. Sorry, but this one is a pass for me. Write the first Review for Deep Energy (Eau de Toilette)!